Senior Postdoc Sebastian Scheer’s thirst for understanding how biological systems work led him to dive into the world of immunology research. 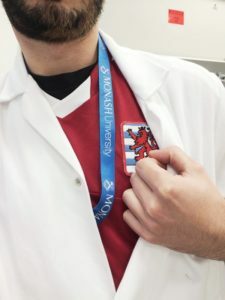 After moving from Germany to Canada, the Luxembourg national got the chance to set up his group leader’s new lab in Australia, where his research revolves around the T cell, a key player in the shaping of immune responses. Sebastian’s research revolves around the body’s defense against infectious organisms and other invaders: the immune system. His overarching research interest is how the immune system manages to defend the host (the body) from infections at mucosal sites (such as lungs and gut), also investigating how the immune system is kept in check to prevent autoimmune diseases and extensive inflammation. Sebastian explains that epigenetic regulation can be observed in identical twins – where the genes are identical – but that they do slightly differ in their appearance, as well as personality even often in the diseases they acquire. Trichuris muris (video) is a mice parasite very closely related to the human parasite T. trichiura, sharing cross reactive antigens. It is a very good model system for dissecting immune responses and host parasite relationships. The role of epigenetic modifiers in T cells, especially with regard to the central roles they play in infection, inflammation and cancer is still poorly understood, Sebastian stresses. Yet, it is the fundamental understanding of these modifiers and their biological pathways that offers the possibility to manipulate the outcome of the diseases, such as asthma, cancer and even neurodegenerative diseases such as Parkinson’s. “I believe that my research can have a major impact in understanding the role of these epigenetic modifiers and will ultimately lead to improved therapies for patients,” the Luxembourgish researcher says. Sebastian has already performed his research on three different continents and has already made valuable scientific contributions to his field. He has for example found that receiving antibiotics as a child results in increased pathogenicity of CD4+ T cells in later life, which could explain why people who were administered antibiotics in childhood are more prone to getting inflammatory bowel disease. 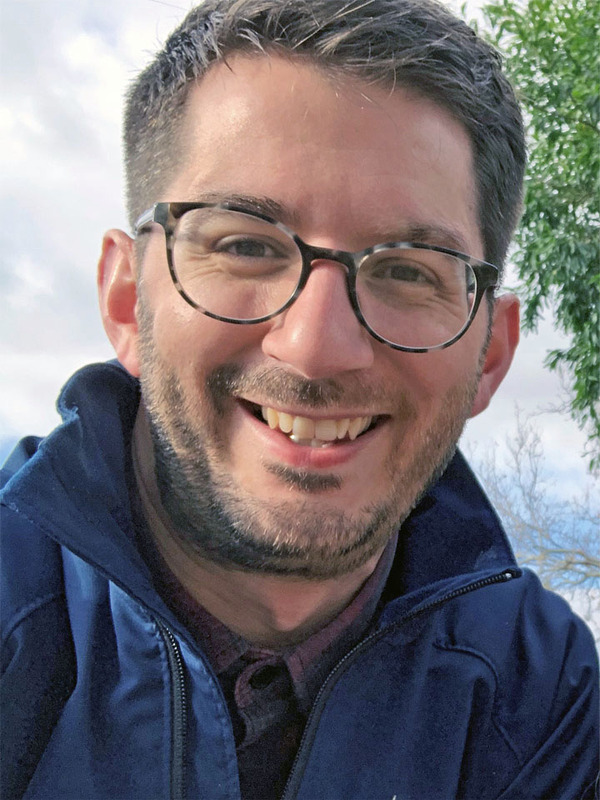 Sebastian started his research career with an AFR PhD at the Max Planck Institute of Immunobiology and Epigenetics in Freiburg, Germany, which he completed in 2012. For his PhD[i], he worked on the host-pathogen interaction and the co-evolutionary mechanisms between what is called the helminth Schistosoma mansoni – water-borne parasite worms of humans – and the mammalian host in respect to the infection with viral infections in the lung. “I found that the host was better protected from a viral infection when infected with S. mansoni, which promotes an antiviral state of the immune system in the lungs. Thereby, not only the host is better protected from a viral infection after the infection with S. mansoni, but the worm also benefits from this increased protection since the host will survive the virus infections,” Sebastian says. “I was the only member of the lab who moved with Prof Zaph from Vancouver to Melbourne – my new position at Monash University as a Senior Postdoc was the biggest leap so far. I was responsible for setting up the new lab, which included purchasing of equipment and reagents, establishing new mouse colonies as well as teaching the new members of the lab our techniques and methods. “The research landscape in Luxembourg with regard to biomedical research has dramatically changed for the better in the last decade. Luxembourg has substantially invested in state-of-the-art research facilities and has recruited excellent researchers to elevate the quality of the biomedical research to be among the top in the world. “Based on my own and the work of others, I believe there is a tremendous potential to improve therapies of patients by interfering with epigenetic pathways in T cells. However, we will only be able to interfere with these pathways once we understand the basic principles. Spotlight on Young Researchers is an FNR initiative to highlight early career researchers across the world who have a connection to Luxembourg. The campaign is now in its 4th year, with 45+ researchers already featured. Discover more young researcher stories below.